Alveston Pastures Cottage in Alveston, near Stratford-upon-Avon sleeps 4 people. 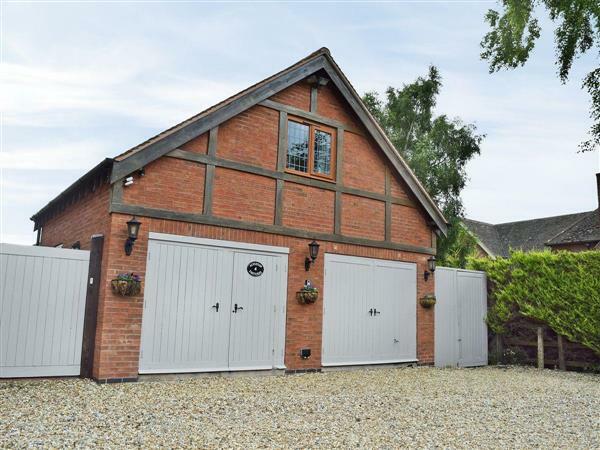 Just three miles away form Stratford-upon-Avon, this detached holiday barn conversion is in the perfect location for visitors wishing to really explore, enjoy a romantic break for two or a get-away with friends. Traditionally known as ‘Shakespeare’s Stratford’, visitors will be able to visit this historic market town and enjoy the many historical attractions including Shakespeare’s birthplace, Anne Hathaway’s cottage and the Royal Shakespeare Theatre. The property is surrounded by open fields and countryside, making this the perfect spot for walkers, ramblers and cyclists of all ages, with the Cotswolds an easy 45-minute drive. Shop, pub and restaurant 1 mile. Oil central heating, electric, bed linen and towels included. Two Freeview TVs. DVD. CD. iPod dock. Electric cooker. Microwave. Washing machine. Dish washer. Fridge/Freezer. Enclosed decked patio and furniture. Parking (2 cars). Welcome pack. No smoking. Holidays run from Friday to Friday. For a better idea of where Alveston Pastures Cottage is, you can see Alveston Pastures Cottage on the map below. Alveston Pastures Cottage is in Warwickshire; should you be on the lookout for a special offer, you can find all the special offers in Warwickshire. It's always worth checking to see what is on offer at the moment. Do you want to holiday near Alveston Pastures Cottage (28238), you can see other cottages within 25 miles of Alveston Pastures Cottage; have a look to find your perfect holiday location.